WE CHECKED IN WITH LONG TIME STUDENT MAKUYO TO ASK ABOUT HER PRACTICE. learn more about her journey with us. I love to read. I think I first became interested in yoga when I was reading, and the main character lost a lot of weight with yoga. I was like, “Oh yeah, let me try that!” My practice has evolved so much over the years, especially within the past two years, as a member of Khepera Wellness. What does it mean to have a space that is dedicated to yoga for black people? 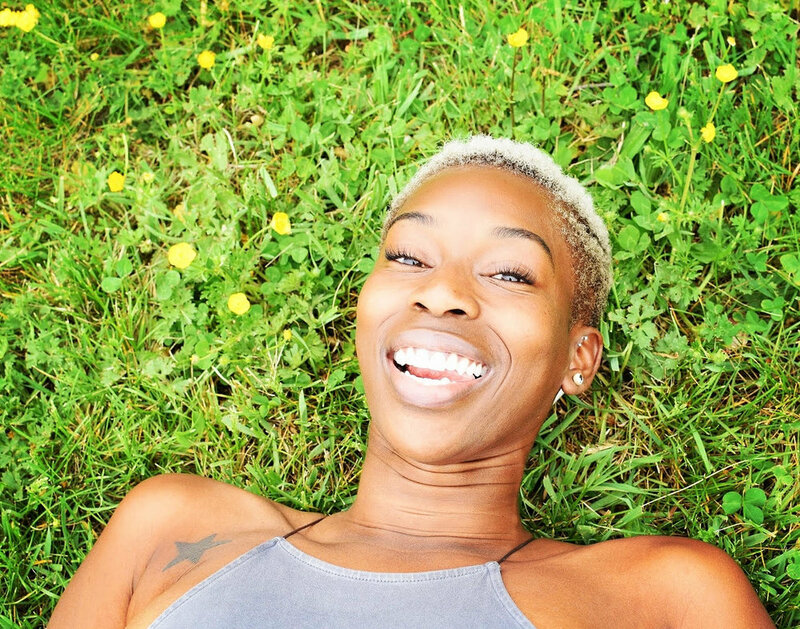 Having a space dedicated to yoga for black people means building and being a part of a unique and needed community. I’ve taken yoga at various studios across DC. I checked in, took the class, then left. Few words were spoken. At Khepera, it’s a completely different experience. Its welcoming and warm. I talk to my instructors; I know them by name. I attend their events, outside of class. I speak with other students. We talk about our individual practices, share recommendations on other Khepera classes to take, and feel free to discuss any other number of topics! What advice would you give to a first timer? My advice for a first timer is not to compare or compete in yoga, unless it’s against yourself. Everyone is at a different stage in their practice, but only you know what constitutes a victory to your body, and to your mind. It’s more about can you go deeper into a pose, how can you push your body and breath more, not in relation to anyone else, but only yourself. Your practice should be just that, your own. What’s your favorite pose and why? I don’t have a single personal favorite pose; my favorite pose is whatever challenges me. Right now I’m working to achieve a full Birds of Paradise, and Mermaid (with extended front leg). So, for now, they’re my favorite to practice, because I have work to do in order to reach them. My go to self-care practice is sleep! I average about 6.5-7.5 hours of sleep, each day. It’s really amazing what proper rest can do for your mental output and physical capacity, day-to-day. My personal mantra is, “Whatever you need, you already are.” Whatever my personal dreams, goals, desires are, they already exist within me. They already exist within each of us. We were created with what we need to succeed and be happy in this life, it’s up to us to determine how to develop and manifest our individual destinies.